WATCH: Calvin Abueva soars in for one-handed dunk against Kuwait | #FIBAAsia2015 - Balita Boss! Calvin Abueva seems to be unstoppable on his way to the basket which end with a big philipino finish. 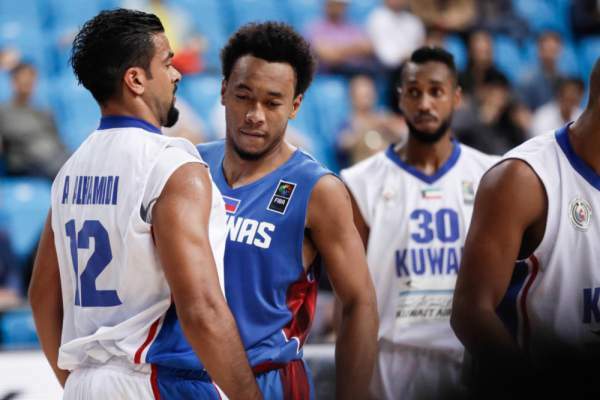 - Philippines v Kuwait - Day 3 of the 2015 FIBA Asia Championship (25 September 2015). Calvin "The Beast" Abueva, the 2013 PBA Rookie of the Year, threw down this one-handed dunk during the second quarter in their game in 2015 FIBA Asia Championship against Kuwait. Abueva finished the game with 10 points and eight rebounds in nearly 14 minutes of play. The Philippines or the Gilas Pilipinas will advance to the next round after defeating Kuwait, 110-64.